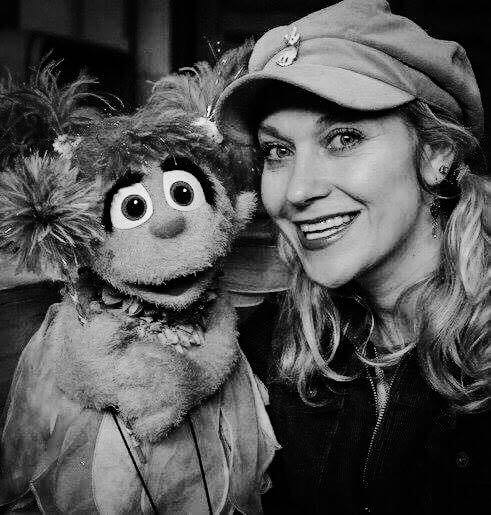 Leslie Carrara-Rudolph is a performer and puppeteer on “Sesame Street.” She performs Abby Cadabby as well as a variety of other characters. She has performed the Muppets on “Muppets Tonight,” “The Wubbulous World of Dr. Seuss,” the Macy’s Thanksgiving Day Parade, “Late Night with Jimmy Fallon,” and many, many other programs. Fans may also remember her from the film, “Forgetting Sarah Marshall” starring Jason Segel, as the evil succubus in the vampire musical. Leslie has also devoted her career to using imagination and creativity as a form of mission and outreach to at-risk youth and children. She is the creator of the original multimedia musical, “Wake Up Your Weird!” which was developed under a grant by the Jim Henson Foundation. She is also one of the founding members of “Puppet Up! / Stuffed And Unstrung” with Brian Henson and the Jim Henson Company. During our conversation, Leslie shares some of her behind-the-scenes stories from working with the Muppets and how she learned from legendary Henson performers like Jerry Nelson and Frank Oz. She talks a little about how her experiences growing up gave her a passion for helping young people "wake up their weird" to explore their feelings through artistic expression, irreverence, humor, and honesty. Plus, find out how Leslie had an "Uncle Ben" moment meeting Shari Lewis on an airplane.